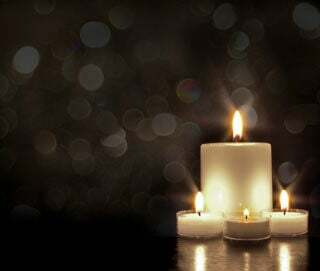 Rendle Alton “Ren” Ranck, 72, of Montoursville, was welcomed into God’s arms on Palm Sunday, April 14, 2019, surrounded by his family. His pain, suffering, and courageous battle is now over. He is free. Born on Sept. 6, 1946, in Lewistown, Ren was the son of the late Paul A. and Romaine A. (Yocum) Ranck. Ren was a 1964 graduate of Williamsport High School. He started his career as a meat cutter for the A&P Store. He then had various jobs which included Handy Market, delivering for Pepsi, delivering the Sunday Grit and cleaning the church at Trinity United Methodist Church where he was a member for 50 years. He then began working for the Pennsylvania Game Commission raising pheasants, where he retired as the assistant superintendent after 32 years of service. After retiring in 1999, Ren and Karen followed their dreams and bought a small farm where Ren enjoyed raising beef cattle, chickens and pigs. He loved watching the wildlife. Ren enjoyed hunting and fishing with his children and grandchildren. Ren especially enjoyed spending time with his great-granddaughter Addy Bell. Ren was an avid gun collector and enjoyed reloading ammo with his grandson Logan. Surviving Ren, including his loving wife Karen S. (Artley) Ranck, with whom he would have celebrated 54 years of marriage on May 8, are: two sons, Michael Ranck (Lisa) of Picture Rocks and Seth Ranck of Williamsport; two daughters, Michelle Reynolds (Terry) of Montoursville and Susan Ammerman (Ed) of Montoursville; four grandchildren, Kelsey and Logan Reynolds and Stephanie and Jared Ranck; a great-granddaughter, Adelyn Reynolds; a brother, Donald Ranck (Nancy) of Florida; and a sister, Karen Lee Stroble (Randy) of Trout Run. A memorial service to honor the life of Ren will be held at 11 a.m. on Saturday April 20 at Trinity United Methodist Church, 1971 Lycoming Creek Road, Williamsport, with the Rev. Robert E. Stump officiating. A visitation will be held from 10 to 11 a.m. at Trinity United Methodist Church. Methodist Church, 1971 Lycoming Creek Road, Williamsport, PA 17701.